Good morning from this horrible wet and windy North West. 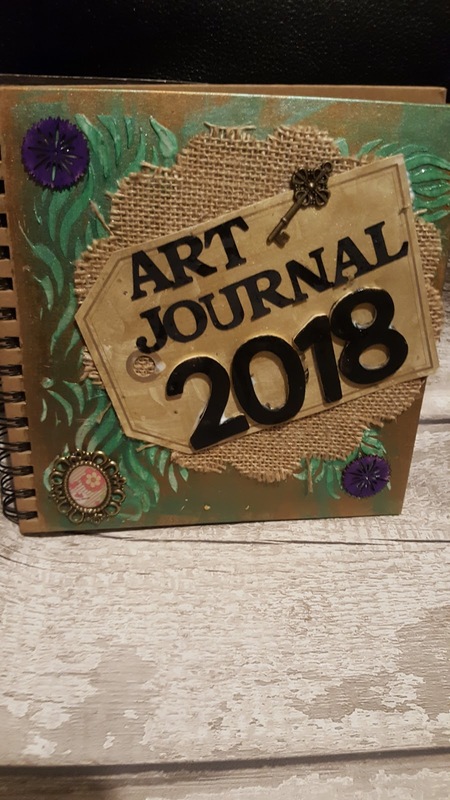 Here is one of my new Art Journals for 2018. 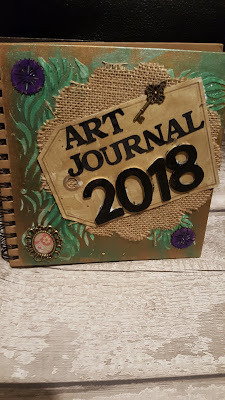 It was a blank craft card cover which as you can see I have altered. I will leave a link to my you tube tutorial where you can watch my process video. If you enjoy the channel please could you like and subscribe I would be really grateful.